Ezequiel started his riding career at an early age in Buenos Aires, Argentina. Born to a non-horse family he had to work hard to find his place in the exclusive club system in South America. Through hard work and dedication, he was soon riding and training. later he found employment in Chile and spent some time there before coming to the United States in 2001. 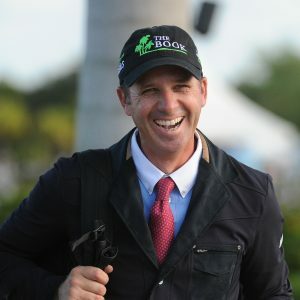 Ezequiel has a strong background in jumpers and has trained many students and horses to the highest level. A familiar and friendly face ringside, he can also train in his native language, Spanish. Ezequiel is also an accomplished rider having brought many young horses up to the highest levels of competition, including Grand Prix. He is also the father of Catalina who is an active junior competitor.